After every U.S. presidential election, disenchanted partisans predictably holler, "I'm moving to Canada!" We heard this collective cry in 2008 and again in 2012, from Republicans who passionately loathe Barack Obama. Now we're hearing it from Democrats who despise Donald Trump. In fact, a surge of visitors crashed Canada's immigration website on the night of Nov. 8, as electoral maps on television news turned overwhelmingly red and panicky Hillary Clinton voters got out their luggage. But many Americans are learning that it's difficult, expensive and time-consuming to move to the Great White North. Here's an easier and highly lucrative way to benefit from Canada's social equilibrium and prosperous economy: Buy shares of Canada's best-of-breed bank, Bank of Nova Scotia (BNS) . 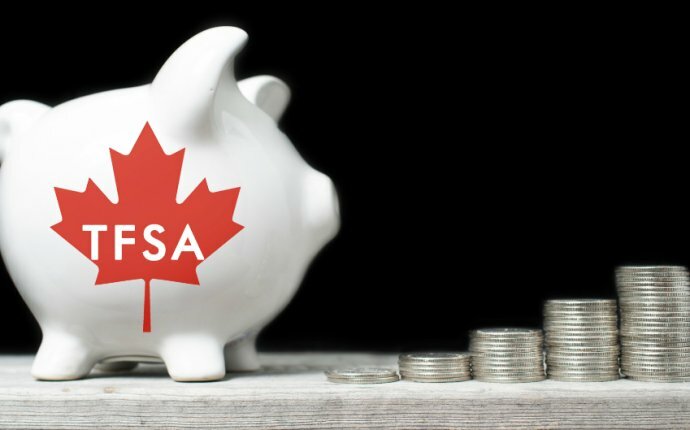 We explain why this company, also known as Scotiabank, is a growth opportunity that also belongs in your dividend portfolio. Bank of Nova Scotia is scheduled to report earnings on Tuesday, Nov. 29, before the markets open. The report will be for the fiscal quarter ending Oct. 2016. The analyst consensus for earnings per share for the quarter is $1.12, compared with $1.46 in the same quarter last year (all amounts in U.S. dollars). Largely weighing on earnings has been the bank's portfolio of troubled energy loans, but we think that challenge will soon dissipate. Bank of Nova Scotia in May significantly raised its loan loss provisions, largely to cover expected defaults in the oil and gas industry. At the same time, the bank's energy patch creditors are getting relief as oil prices embark on what appears to be a sustainable recovery. 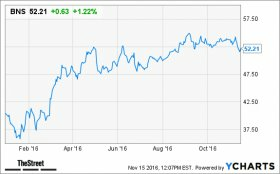 The bank's current dividend yield is a fat 4.3%, making this stock a highly attractive total return package. Bank of Nova Scotia shares now hover at about $52.68; the average 12-month price target from analysts is $56.26. That suggests the stock can gain 6.8% over the next year. Yet the stock's trailing 12-month price-to-earnings ratio is only about 12.5, compared with nearly 16 for its industry.